Owning a supercar, or even a high performance car, is an experience that very few people get to participate in. That feeling of turning over the key and unleashing the power is something that dreams are made of. There are a few car brands that know that feeling very well and have done their best to instill that in all of the cars they produce, no matter what your budget is. Not sure if its coincidence or not, but the brand that come to mind all happen to come out of Europe, specifically Germany. Of course i’m talking about BMW, Mercedes-Benz and Audi. We recently brought you the BMW M Drive Tour where current M car owners were flown out to a remote location where a fleet of the best vehicles wearing the BMW badge waited for them. We have to assume that even though all of the vehicles there also wore the M badge, we highly doubt that BMW just threw them the keys and said “let her rip”. Instead there was probably a BMW representative sitting in the passenger seat monitoring your behavior. That’s not to say that you wouldn’t still be able to open it up, that would be a form of torture if you asked me. Sitting behind the wheel of a brand new M4, but not be able to hear some tire squeal or something along those lines may as well be water boarding. So maybe that’s a bit exaggerated, but as you may know I have a soft spot for those M cars. 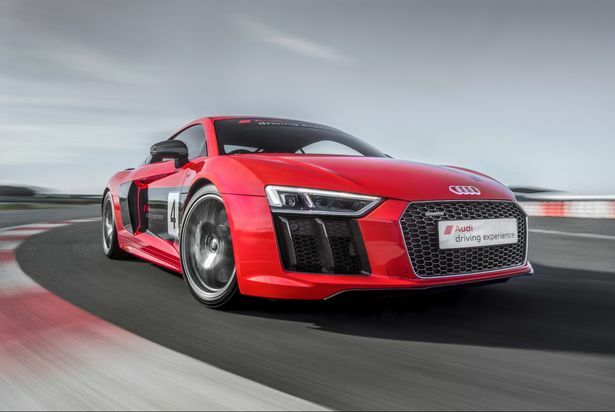 Well Audi does something similar, and they call it the Audi Driving Experience (also referred to as Sport Experience) where they bring out the top of the line version of all the cars they make. 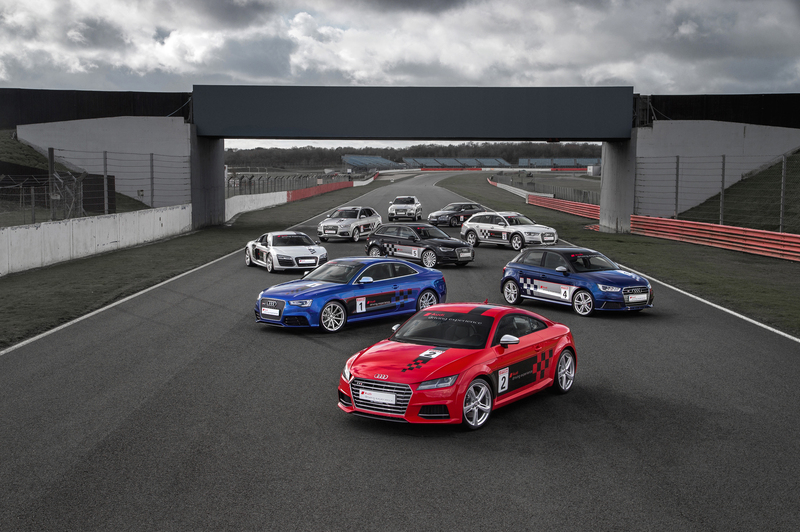 This of course includes the new R8 V10 Plus, RS6 and RS3 to name a few. Now what really caught my attention about this event was that Audi actually wants you to drive the wheels of these cars. 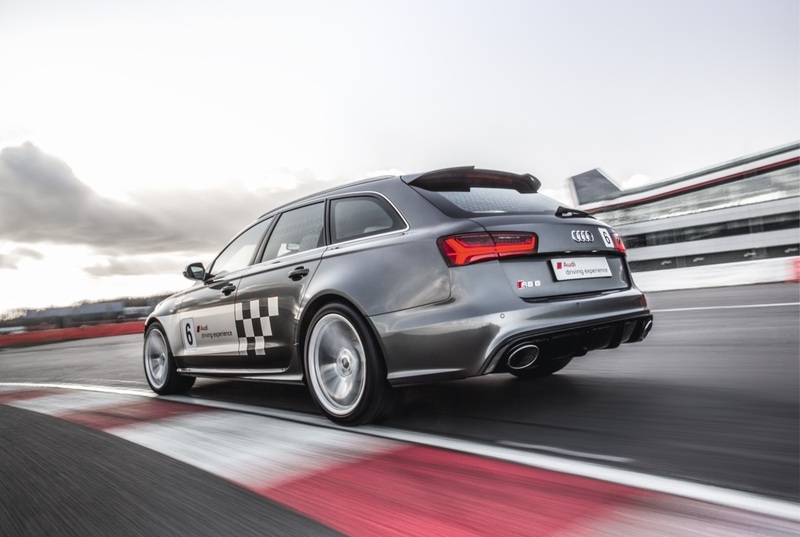 IT was held at the famous Silverstone racing circuit and rather than just putting around the track, they want you to push the limits of both your driving skills and if your good enough the cars. That rarely happens on the super car level unless you happen to be a professional driver, but on the more entry level models that more within reach. Especially if you are able to spend a decent amount of time behind the wheel and grow more comfortable with the car and the track. This event is held mainly for customers that currently own these high end models, but its also open for the everyday gearhead that wants to see what these cars are really made of. The event was scheduled to last all day with a few different events that were designed to show the cars capabilities. There was the slalom course, emergency braking, wet weather handling, and cornering events where specific skills were taught. Then drivers put that knowledge to use with plenty of time spent on the track. It was reported that roughly $2.2 million worth of cars were at the disposal of the people in attendance. If we had our choice the entire day would be spent in one of those RS6’s, RS7’s or of course the R8 V10 Plus. The R8 has the same 5.2L V10 engine that powers the Lamborghini Huracan which produces 610hp and 413 lb-ft of torque. Of course part of what makes Audi’s so appealing is the fantastic all-wheel drive system. 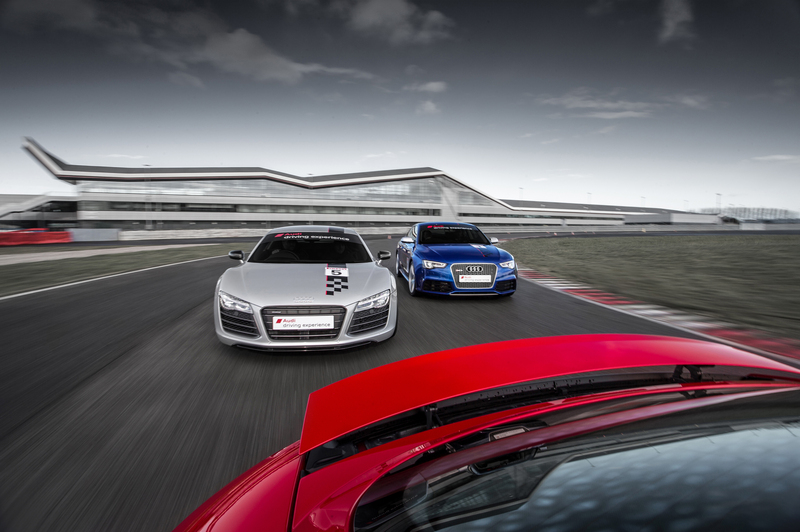 The claimed top speed for the R8 is said to be around 205mph! In an Audi straight off the factory floor. Pricing starts just under $200,000 and will probably go up with any sort of options. Not that you need any. The RS6 and RS7 have been made a bit more potent for the 2017 model year. Using a 4.0L turbo V8 they managed to bring the hp up to 605! Even thought hey are both full size passenger cars they are still going to be lightning quick. According to reports 0-60 happens in less than 4 seconds and if you choose the available dynamic package the top speed is brought up to 189mph versus the normally governed 155mph. As you can see the performance aspect of these cars is quite impressive, maybe even enough to de-throne the might M5 and M6 from the top spot of the full size high performance luxury car list. Although then again there are rumors going around that the new M5 and M6 will also have around 600hp and a newly offered all-wheel drive system, but more on that later. All-wheel drive is really staring to make sense with as powerful as these cars are getting, I mean over 600hp in a car that you can throw a bunch of your buddies in and drive to Vegas for the weekend, take the wife and kids on a road trip to see granny and pop pop, and also go lay down some blistering lap times at the track. Or something that has always appealed to me, and what made me fall in love with the M5, is being able to pull up next to a Mustang GT, entry level Corvette, or something along those lines and smoke it in light to light drag race. Like this for example, its the old V10 M5 from 2006 but it still walks away from this 2015 Mustang GT.